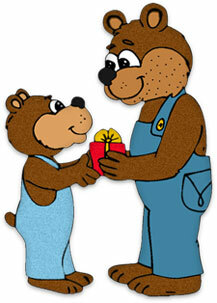 Our fathers day clipart images may also be used on educational web space by students and teachers. What do fathers love best? Fishing? Sure seems like it sometimes. Working with hand tools? Maybe. How about really fast cars? Everyone likes a really nice car. No. What fathers love best is you! Fathers love to help their children grow into the confident, caring and fulfilled adults they are meant to be. May all of your fathers wishes come true. Here's to all the great men, HAPPY FATHER'S DAY! 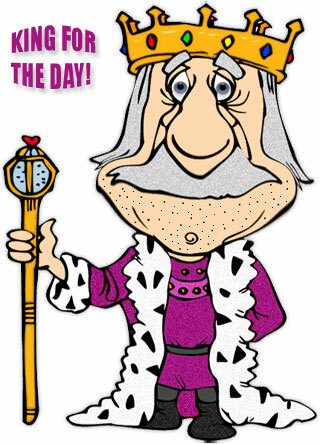 Happy fathers day dad, you are king for the day. Happy Fathers Day with glitter animation. Fathers Day red and white on blue cloud. Happy Father's Day with a fast car. Happy Father's Day with animation. Fathers Day sign held by daughter and son. Happy Father's Day with father and son outdoors. Fathers Day card in the mail. Happy Fathers Day in blue. Son giving gift to Dad. Happy Father's Day with hammers for a working dad. Happy Fathers Day To My Favorite Nut! 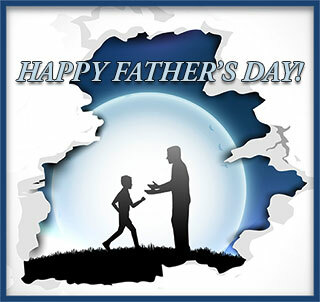 If you save then use our Father's Day clipart please give us credit. Thank You. 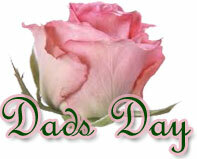 Free Father's Day clipart, cars, gifs, happy father's day, #1 dad, gift for dad, images.